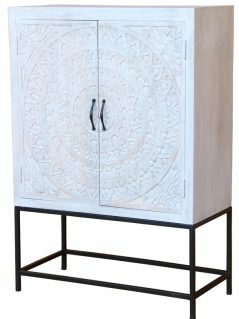 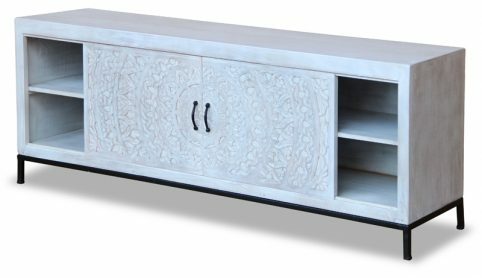 This white washed wooden TV stand / media unit is meticulously handcarved with an intricate display of southern Indian cultural heritage. It is made of solid sustainable tropical hardwood, with a subtle white washed finish. 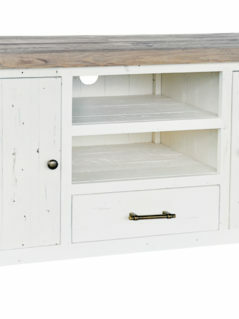 It offers four shelves and two doors all providing a lot of storage place.